Have you tried all the creams and gels on the market for your fine lines and wrinkles, but nothing seems to be working? Collagen induction therapy is a skin rejuvenation technique that uses microneedling to create small punctures on your skin with the help of microscopic technology in order to help the skin produce collagen naturally. This treatment is particularly good for people over the age of 35 because that’s around the time that when the skin’s natural collagen production naturally decreases. But although this microneedling technique has been used time and time again, there still seem to be some misconceptions about it. So we’re here today to clear them up a bit. Though the procedure uses microneedles to create small punctures on the surface of the skin, the treatment isn’t as painful as you would think. The skin is prepared with a numbing cream beforehand so you’re only going to feel a light amount of pressure during the procedure. And unlike some cosmetic treatments, collagen induction therapy doesn’t require a lot of downtime. Once the swelling goes away (usually after 24 hours) you should be good to continue on with your day like normal. 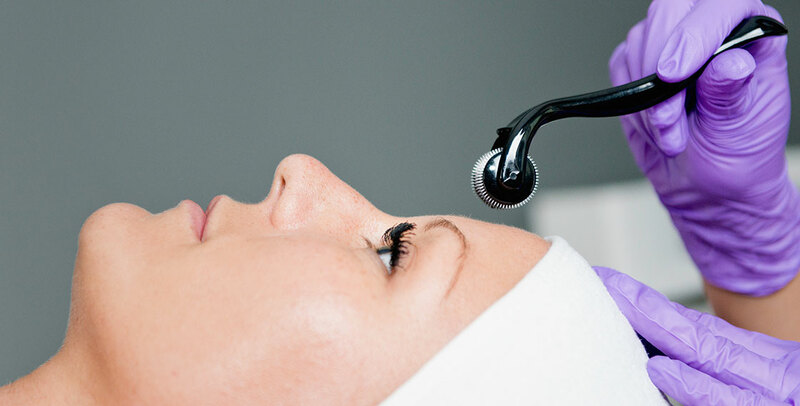 And though the procedure uses a microneedling technique, it’s a painless minimally-invasive process. Though there are many immediate benefits of skin rejuvenation, there are also a few long-term benefits that not many people are aware of. Your skin’s appearance will continue to improve greatly during the first 6-12 months after the procedure and aside from collagen, there are a couple of other benefits to be aware of. Collagen induction therapy also helps diminish the appearance of wrinkles and fine lines, while helping to treat acne, scars, and even sunspots on the surface of the skin. That’s why it’s perfect for anyone over the age of 35. One of the most common misconceptions about this treatment is that it’s only beneficial to the skin on your face. That is partially true, and it is the most common for people to get this procedure done on their face. But that’s just not always the case. Skin rejuvenation can be used to reduce the appearance of dark spots and stretch marks throughout all the skin on your body. If you’re considering using this treatment on other parts of your body other than your face, it’s best to consult with a professional beforehand to make sure you’re an eligible candidate. Another thing you probably didn’t know is that you can now get collagen induction therapy done right here in San Diego at SD Botox. We are proud to offer a wide variety of skin rejuvenation services such as hydrafacials, chemical peels, dermal fillers, laser, botox, and now microneedling. Contact us to learn more about our services and treatment options.